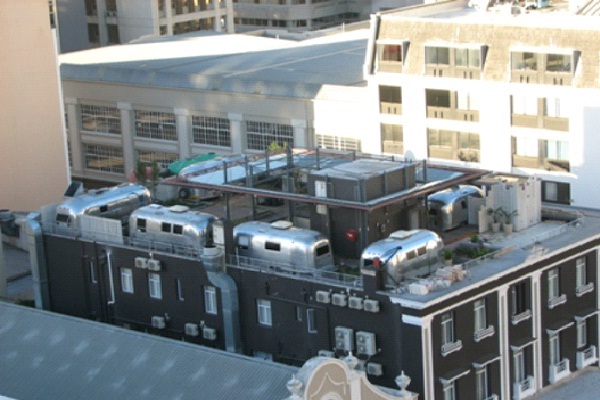 The Grand Daddy Hotel in Cape Town, South Africa is home to the most unique trailer park. Seven silver trailers were airlifted from the United States and then revamped on the inside, to create luxury trailers with a view. Not your typical trailer park, these trailer homes are chic, urban retreats.